Heat Recovery Ventilation: Where quality air is a must, proper ventilation is a priority. The ideal solution is to install a Heat Recovery Vent by Asbuilt ClimateCareRecovery Ventilation system. A good HRV will stop the damage before it begins. Duct Cleaning: Your heating and air conditioning ducts function as the 'respiratory' system for your home. Once ducts become laden with contaminants and congested with renovation or new construction debris, they must be cleaned and disinfected so your home can breathe normally again. Today's homes are airtight marvels. Improved design and insulation dramatically reduce energy consumption and waste. Drafts are almost unheard of. Heat has virtually no means of escape. However, if heat cannot escape, neither can excess humidity or indoor pollutants. Without an exchange of air, the effects of everyday living (cooking, cleaning, smoking, pets, etc.) can adversely affect the quality of the air you breathe-and the environment in which you live becomes uncomfortable and unhealthy. Adding a Carrier HRV to your ventilation system will solve these problems. Designed for quiet operation and above all, reliability. 1. Vents located throughout the house draw in stale and humid air. 2. Heat recovery core removes heat from stale air before it is expelled outdoors. 3. 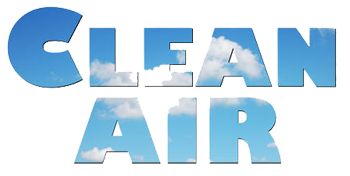 As air is expelled, HRV simultaneously draws in fresh air from outside, warming it with heat recovered from the indoor air. 4. Fresh, warm air is released throughout the house. 5. All models include filters which trap dust particles. 6. Some models may include an air ionizer which eliminates finer particles such as pollen and smoke from the air. Also helps neutralize harsh odors-pets, tobacco, cooking etc. HRV are installed only by professional contractors or heating/ventilation specialists. Ducts are hidden inside the walls and network throughout the house. All you see are the air vents. Where forced air heating is used, installation is simplified as the distribution ducts and be shared effectively by both systems.